Life and Style Out of the Studio of Hannah Betzel Fine Art. 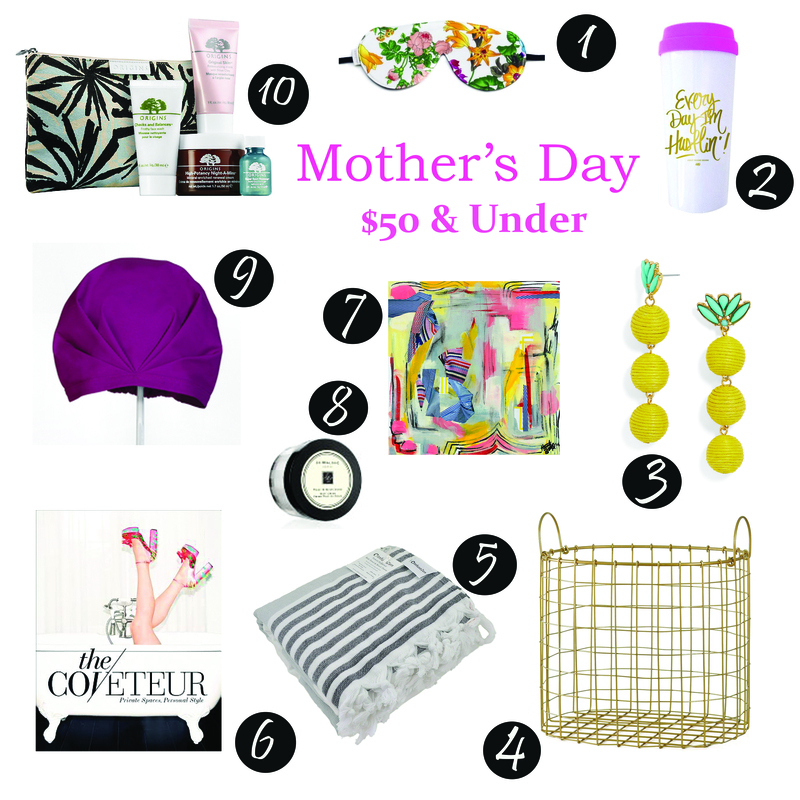 We all know Mom will love us gift or no gift, but she still deserves to be a little spoiled on this special day, right? 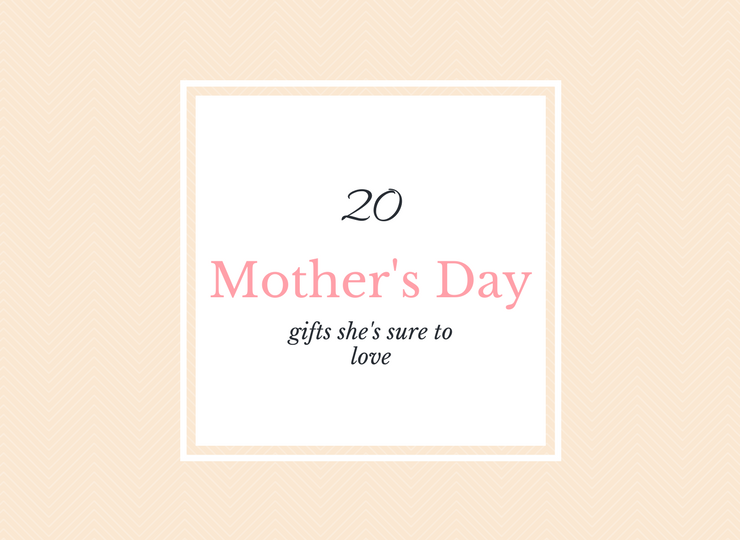 I've gathered two lists of things at different price points, all of which will make Mom feel spoiled every time she uses them. I love this "Every Day I'm Hustlin'" travel mug - because that's just what mom's do! We are always on the go and this colorful mug is such a fun way to start the day. It's perfect for car-pool lane or commuting to work. These pineapple earrings might just be the cutest earrings I've ever seen. Imagine pairing them with this purple Shhhower Cap for a fun Copacabana look! If you've not seen these Shhhower Caps, you have to go check out their website! They're actually cute enough to wear as hats in public (really, they are!). I just ordered one in yellow. Step up your mom's storage game with this golden basket. And because it's under $20, you could even use it as a gift basket filled with a Turkish bath towel (these dry fast, absorb a lot of water, and look chic), a sleeping mask, and nighttime products from Origins. If your mom has been looking to brighten up her decor for spring and summer, consider buying fine art prints. They're printed on archival, fine art paper and if you purchase from a local artist, you're giving her something only a handful of other people will also have. My sister-in-law gave The Coveteur to me for Christmas and it has become one of my favorite books. If your mom is into style at all, she will finds loads of inspiration from this book. In this guide, you'll find a few gifts from $74 to $790. 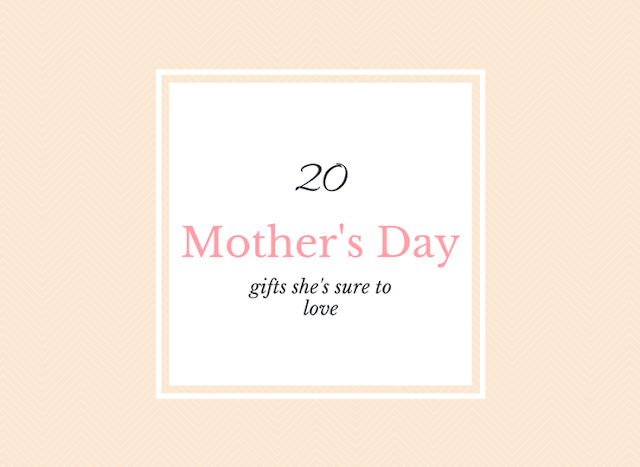 These are great if you really want to splurge on mom this year or if you're pooling money together with your siblings for one big gift. I have a pair of Audio-Technica headphones (though mine aren't wireless) and I absolutely love them! They have excellent sound quality and they're comfortable for hours at a time since they go over the whole ear. If you're gifting Mom this fabulous pineapple tumbler, consider including a nice bottle of rum to go with it. She'll toast to her wonderful kids every time she breaks it out. Plus, this tumbler looks pretty on her barcart! Art is a gift that Mom can enjoy day in and day out for years to come. Show mom she deserves to be surrounded with things she loves by adding to, or starting, her very own art collection. 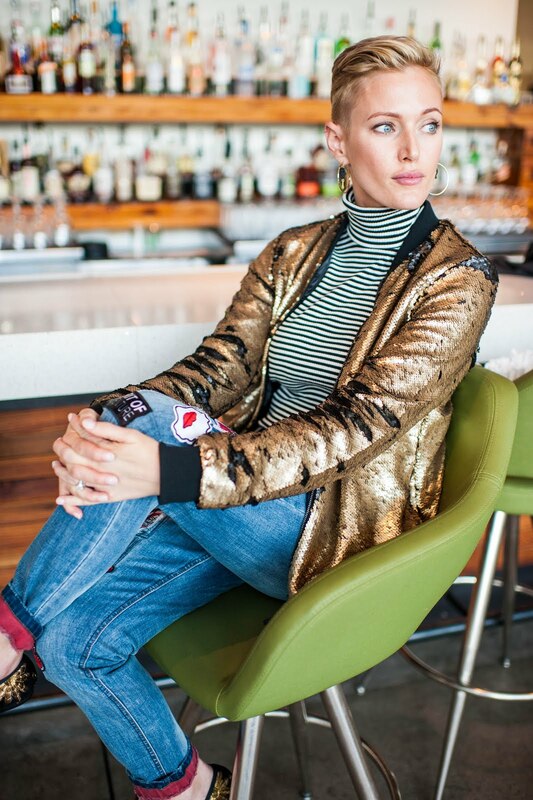 I'm actually eyeing a pair of brass cuffs from Laurel Hill via BMA At Home. Nothing says "Mom, you're a Wonder Woman!" like a gorgeous handmade cuff! Don't forget to give Mom a big hug along with whatever gift you give! Her favorite thing in the world is loving on her kids. Gifts are the cherry on top. Welcome to my blog! My name is Hannah Betzel. I'm an abstract artist inspired by color, fashion, and family. Here is where I share peeks into my life and the things that feed my creativity. I hope that sharing what inspires me Out of the Studio on a regular basis will inspire you too. Products that Pamper and My DIY Lip Scrub! Copyright @ Out of the Studio.